The situation in Kashmir valley has “never looked so bleak”, former Research and Analysis Wing chief A S Dulat said on Friday. 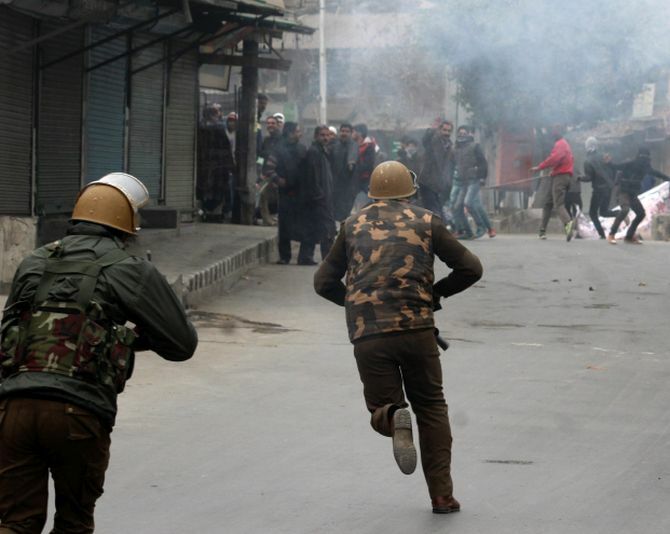 “Kashmir has never looked so bleak. The last four-odd months have been terrible,” Dulat said, delivering a lecture on ‘Kashmir: Reasons for Unrest, Pathways to Peace’, organised by the Observer Research Foundation on Friday evening. “Prime Minister Narendra Modi is squandering an opportunity to find a solution for Kashmir,” Dulat said. Kashmiris expected Modi to follow the former Prime Minister Atal Bihari Vajpayee’s path, he said. “There is nothing that gives more hope to a Kashmiri than cordial India-Pakistan relations. Pakistan has tried its best in vain to get separatists in Kashmir together. Now it (separatists coming together) has happened because Delhi has no time for it,” Dulat said. Dulat made light of Defence Minister Manohar Parrikar’s recent statement that demonetisation led to the end of stone-pelting in the Kashmir valley. “Stone-pelting stopped before demonetisation. There is a connect between terror and counterfeit currency, but it’s exaggerated. Stopping growth of indigenous militants is more important than the counterfeit currency issue,” he said. Dulat suggested that a phased withdrawal of Armed Forces Special Powers Act is a must for long-term peace in Kashmir. “There is only one way to move forward in Kashmir: Talk, talk and keep talking,” he said. “Kashmir is not a political, economic, or even military issue. It is an emotive issue,” Dulat, who was special adviser to PM during the Vajpayee regime, said.